The California Association of Realtors’ Pending Home Sales Index declined by 2.6 percent year over year in October. Bay Area pending sales dropped for the 13th straight month, falling by 10.5 percent from last October. 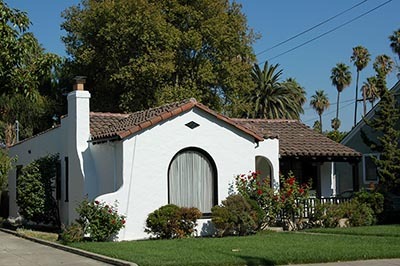 Declining affordability remains the top concern for California real estate professionals. Pending home sales continued their skid in California and the Bay Area in October due to shrinking inventory, with the state’s eroding affordability conditions remaining real estate professionals’ chief concern. The California Association of Realtors most recent Pending Home Sales Index declined to 116.0 in October, down 2.6 percent year over year and the lowest level since the spring. Statewide, pending home sales have dropped on an annual basis for nine of the past 10 months. Eleven of the 12 counties for which CAR tracks data saw pending sales decrease from the previous October. Bay Area pending sales are on an even longer slide and were down by 10.5 percent in October, the 13th straight month of year-over-year declines. San Francisco, San Mateo, and Santa Clara counties all recorded double-digit percent drops in pending sales, with the latter seeing activity decrease by 21.4 percent, the largest of any county in the state. As usual, the decline in pending sales can be attributed to the California’s ongoing shortage of homes for sale. CAR’s Market Velocity Index says that there were 75 percent more home sold in October than came on the market. CAR expects the state’s inventory drought to continue driving prices throughout the remainder of the year, further reducing the number of households that can afford to purchase a home, which dropped to a 10-year low in the third quarter. And indeed, shrinking affordability conditions are top of mind for California real estate professionals. As in September, 44 percent of respondents to CAR’s accompanying Market Pulse Survey said that declining affordability was their top concern, followed by 30 percent who pointed to a lack of supply. Despite low affordability, buyer demand remained vigorous in October, with two-thirds of homes on the market receiving multiple offers. Additionally, real estate professionals reported slightly more open-house traffic than they did at the same time last year.